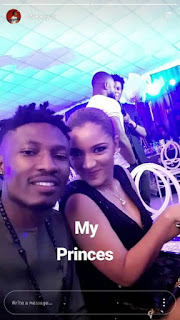 Efe Takes Picture With Gifty, Calls Her "My Princess"
Big Brother Naija 2017 Winner, Efe took a picture with fellow contestant Gifty at Alibaba's Surprise Birthday Party. He tagged the picture "My Princess". What happened to Marvis, Mr Efe? 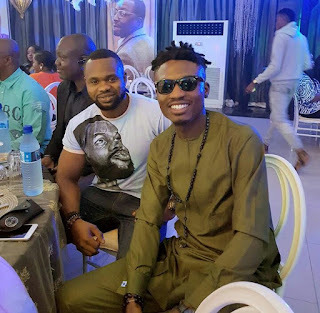 He was also pictured with Kemen at the Event.